Automated Optical Inspection (AOI) is a tool in circuit board assembly to efficiently and accurately detect production errors before boards leave the facility. 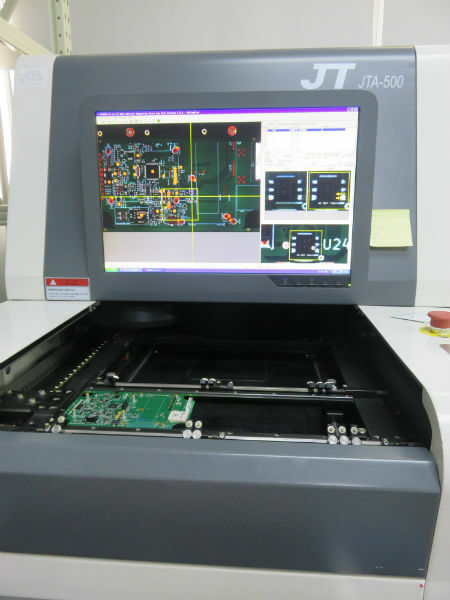 AOI uses cameras and image processing software to identify assembly errors such as missing or misplaced components, soldering short circuits, and disconnected components. With more complex boards and larger production quantity this tool improves error detection over visual inspection. AOI machines have seen widespread adoption as surface mount components have miniaturized and board production aims to be more efficient. At Bittele Electronics AOI is one tool we use to provide the best product quality to our turn-key customers. Due to the added labor of setting up the AOI equipment, it is more economical for our clients if we conduct this type of inspection on larger or complex orders as listed in the table below. All of our work is visually inspected by our quality assurance technicians. There is no additional cost when AOI is used, as it is included in our standard assembly services as directed below. Copyright 2003-2019, Bittele Electronics Inc. All Rights Reserved.